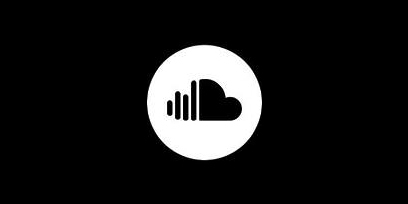 Hear the story behind the opera. Join us at the Arts Centre 45 minutes before this performance, when a member of Opera Australia's artistic team will share their insights into the opera. Held in the Stalls Foyer near Door 2 of the State Theatre, this informal, informative talk will help you to get the most out of your opera experience. Absurd? Yes, but Mozart’s luminous music takes the absurd and makes it sublime. Running time: approximately 3 hours & 15 minutes, including one interval. "★★★★½ A beautiful production where gentle comedy makes way for profound sadness." Are all women fickle? Don Alfonso thinks so, but two officers are determined to prove him wrong. To win their wager, the men pretend to depart for war, only to return in disguise and attempt to woo the other’s fiancée. The girls aren’t easily tempted, so Don Alfonso gets their maidservant in on the plot. There’s flirting and fun in store for all of the lovers – but when it comes down to it, who will end up with who? In a café, two young officers, Ferrando and Guglielmo, are arguing with their friend, an old philosopher named Don Alfonso. The subject in question is the fidelity of women and Don Alfonso has insulted them by suggesting that their two fiancées, the sisters Dorabella and Fiordiligi, could be unfaithful. Don Alfonso pursues his argument, challenging the two men to a wager on the point. Enraged, they recklessly agree to a test of the girls’ fidelity. In their garden overlooking the Bay of Naples, the sisters are impatiently waiting for their lovers. Each wears a miniature portrait of her betrothed: Fiordiligi, a picture of Guglielmo, Dorabella, one of Ferrando. But it is Don Alfonso who unexpectedly arrives with bad news. Their lovers have been ordered to leave Naples immediately to go to war. Ferrando and Guglielmo appear and sadly bid the sisters farewell, while Don Alfonso laughs to himself; it is all a trick, the beginning of the sisters’ test. The officers leave and the girls pray for their safety. The sisters’ maid Despina is in the house preparing breakfast when the broken-hearted girls burst in, Dorabella hysterical with grief. Despina argues that their lovers’ absence should be seen as an opportunity to have some fun. In her opinion, the faithlessness of men should be rewarded in kind. Don Alfonso steals into the house to bribe Despina. He enlists her help in a scheme to introduce two lovesick strangers from Albania to the sisters. The ‘Albanians’ turn out to be Ferrando and Guglielmo in extravagant disguises, but neither Despina nor the girls recognise them when they appear. The sisters repulse the strangers’ declarations of love and it seems the wager is as good as won when Fiordiligi declares their fidelity to be as immovable as stone. But Ferrando and Guglielmo are already too deeply embroiled in Don Alfonso’s stratagems to turn back now. In the next stage of Don Alfonso’s plan, the Albanian suitors rush into the girls’ garden and pretend to take poison before their eyes, driven insane with love. Terrified, the girls cry out for Despina, who runs off with Don Alfonso to fetch a doctor. Left alone with the dying men, the sisters find it impossible not to be moved. The doctor arrives (Despina, in another disguise devised by Don Alfonso) and apparently cures the patients with the latest electro-magnetic therapy. The revived Albanians beg the girls to kiss them to complete the cure. Desperately, they refuse. Evening is falling and Despina persuades the sisters to give the suitors another chance. Dorabella confesses her curiosity, Fiordiligi is carried along and a liaison is arranged, each girl choosing the stranger they find the more attractive – in fact, the other’s partner: Dorabella has set her sights on Guglielmo, Fiordiligi on Ferrando. In the moonlit garden the Albanians sing a serenade, but when the sisters enter, the four lovers find themselves tongue-tied and need some prompting from Don Alfonso and Despina. 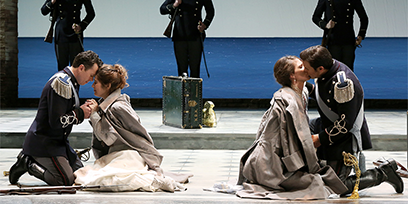 Ferrando and Fiordiligi go for a stroll, leaving Guglielmo alone with Dorabella. She quickly succumbs to his seduction, exchanging her miniature of Ferrando for a little silver heart Guglielmo hangs around her neck. They go into the house together. Fiordiligi rushes in pursued by Ferrando. Tortured by her conscience, she begs him to leave her alone. The men meet in secret to compare notes. Guglielmo is delighted, Ferrando heartbroken and furious at his friend’s success with Dorabella. Guglielmo blames the whole affair on the fickleness of womankind. Don Alfonso appears and reminds him that the wager is not yet won. Despina congratulates Dorabella on her exciting new romance but Fiordiligi is appalled. Dorabella tells her sister plainly that she is ready to leave Naples with her new lover that very night. Fiordiligi is determined to stay true to Guglielmo and conceives a desperate plan to follow him, disguised, into war. She is spied on by the three men and Ferrando falls passionately at her feet. 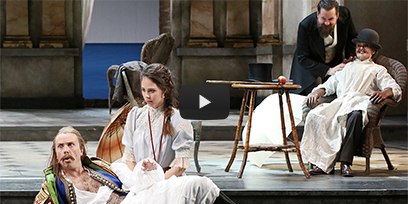 Fiordiligi loses the battle and admits that she has fallen in love with her new admirer. Once she has gone, Guglielmo gives vent to his fury and nearly comes to blows with Ferrando. Don Alfonso intervenes; the best revenge, he proposes, would be to take the test to the limit and stage a false wedding with the two girls. Despina confirms that the sisters are willing and the men agree. Despina organises a hasty wedding feast and the lovers enter and make a toast; let the past be drowned in the wine. Don Alfonso announces the arrival of a Notary with the marriage contracts ready to sign (Despina again). The ink is hardly dry on the paper when a march is heard outside and Don Alfonso tells the terrified girls that their lovers have returned. They bundle the Albanians and the Notary into another room. Guglielmo and Ferrando quickly change back into their uniforms and re-enter to greet their fiancées. The ‘Notary’ is discovered and unmasked, to the sisters’ astonishment, then Don Alfonso drops the signed contracts at the men’s feet. They pretend to search furiously for the girls’ new lovers and the sisters beg for mercy. The whole deception is now revealed. Don Alfonso wins his wager. 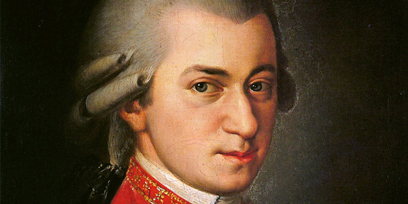 The British director reflects on the profound melancholy of Mozart's most lyrical work. I'm beginning to associate Sir David McVicar with winter. The British director is back in Sydney for his third frosty July in a row to complete Opera Australia's Da Ponte trilogy and direct Così fan tutte. Allow us to make your dinner reservation before evening performances: 6pm at Café Vic at Arts Centre Melbourne. You'll be served a themed three-course set menu for just $85, including matched wine. Homemade duck terrine bruschetta, black truffle, caramelized figs and pistachio crumb drizzled with red port. Apple wood smoked ocean trout, pommes duchess, saffron fumet, brussel sprouts. Vanilla bean milk pudding, berry gel, Persian fairy floss. Published menu is subject to change without notice. Vegetarian and vegan options are available upon request. This menu is only available before performances of Così Fan Tutte. Tuesday 14 May 2019, 7:00 p.m.
Saturday 18 May 2019, 7:00 p.m.
Tuesday 21 May 2019, 7:00 p.m.
Thursday 23 May 2019, 7:00 p.m.
Saturday 25 May 2019, 12:30 p.m.